Commenting on NATO, he called its mandate to defend alliance members if attacked “inviolable.” He urged “open and frank dialogue” with Russia on issues of mutual concern. He stopped short of indicating what US foreign policy will be under Trump. 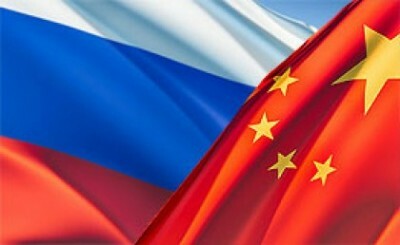 I think (the world order)is under the biggest attack since world war two…and that is from Russia, from terrorist groups, and with what China is doing in the South China Sea. Blocking Chinese access to its own territory, along with its right to develop it and operate there as it wishes is a prescription for direct confrontation – disturbing talk hopefully Trump won’t tolerate. China’s reaction was muted in light of Obama’s tenure near ending, Trump’s yet to begin, waiting to assess his geopolitical agenda once it becomes apparent. Hopefully Trump will abandon irresponsible claims about “Russia aggression.” None exists – not now or earlier. Accusations otherwise are Big Lies. She stressed China will defend its territorial sovereignty if threatened. Unauthorized intrusions will be challenged. The US has no absolute power to dominate the South China Sea. Tillerson (and Mattis) had better bone up on nuclear power strategies if (they want) to force a big nuclear power to withdraw from its own territories. Trump is under enormous pressure to maintain adversarial relations with Russia along with advancing Obama’s Asia pivot confrontationally with China. World peace depends on him going another way. Is he strong-willed enough to do it? We’ll begin learning his geopolitical policies once they begin to unfold.